Hearing loss affects up to 20% of the world's population. It is a health issue that not only critically affects our ability to effectively communicate and engage with others but also to participate in general on a social level within the community. Even so, only 1 in 4 people who could benefit from hearing aids uses them. The main contributing factors to the limited use of these devices are the misconceptions about them and hearing loss in general, particularly surrounding the stigma that is attached to them. These devices are important and useful tools for protecting overall health, but much of the information and ideas surrounding this topic has been obscured by outdated information, causing a lot of confusion. This article talks about some of the common misconceptions about the devices. The use of hearing aids is commonly but incorrectly associated with only severe loss and even deafness. Although these devices may be of great help to those experiencing such, they are not explicitly reserved for them. A strong comparison can be drawn to glasses where it is not required for you to have extreme loss of eyesight to wear glasses. Even those who may find reading the newspaper a little difficult will look to have an eye check. It is wise to seek treatment early for any damage to your ears as even small improvements, as with eyesight, can be delightful. Yes, hearing loss is usually a part of the natural ageing process but there are many types of hearing loss http://www.nhc.com.au/hearing-loss and age-related loss is just one of them. These devices can be used in the treatment of many types of loss and similarly to the previous point, they are not necessarily reserved for just older people. This has become especially true with the increased exposure of today's youth to potentially damaging noise. From earphones at max volume to surround sound entertainment systems and loud concerts, the lifestyle of younger people today is definitely a contributing factor to increased hearing loss amongst those generations. Damage to the ears is a growing problem for the youth today and not only does it affect them on a social level but it also has potential to detrimentally affect them academically and career-wise. The use of these devices is recommended for if not required to foster the development of younger people experiencing this condition. This misconception is generally accompanied by the idea that the devices simply amplify sound received as a whole and don't make speech clearer. Although this may have been true when they were first introduced, with rapid advancements in technology, devices are now able to separate noise and speech, amplifying relevant sounds appropriately. Alongside making listening to speech easier, with these new technological advancements hearing devices have been adapted with many more additional capabilities. Among futuristic functions such as the ability to connect with other devices such as phones and TVs through Bluetooth is the integration of tinnitus maskers into the aids. Tinnitus http://www.bayaudiology.co.nz/tinnitus is a very common symptom amongst those experiencing hearing loss and can be very irritating for some. The addition of this function allows these devices to deliver a better experience overall. With the overwhelming amount of functionality that these devices now possess, to ensure that a device provides you with the best possible experience, it is recommended that you discuss with a health specialist – specifically an audiologist – to find a customised solution that is suited to your personal needs. With advancements in technology, these devices have received many more features and a lot more functionality. This however, has not translated into a large and clunky device. In fact, with new designs, they have been made much more discreet and there are a variety of different device styles to cater to almost any lifestyle. Purchasing these devices should not be seen as an expense but rather as a long term investment into your overall health and quality of life. When you purchase an aid, you are not just purchasing the device but also the range of custom services from an audiologist. From repairs and maintenance to rehabilitation services and hearing evaluations, the cost of a custom and quality aid includes much more than just the device. 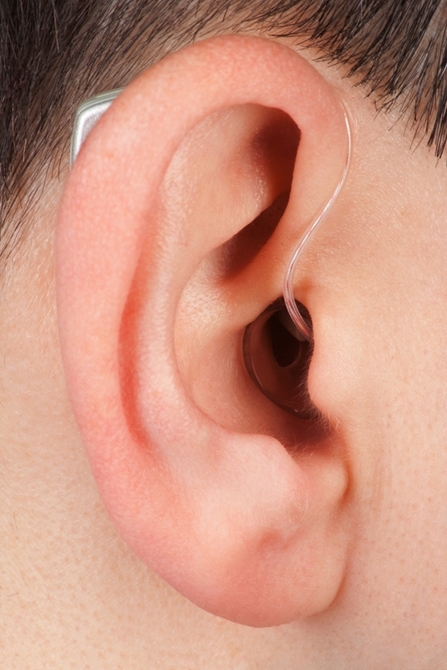 Misinformation has largely contributed to a major segment of the population's stigmatised ideas towards hearing aids. But with hearing loss rapidly becoming an expansive problem, these misconceptions need to be corrected. If you or anyone you know is experiencing hearing loss, it is recommended that you seek the guidance of an audiologist in order to receive a customised device and solutions that best suit your circumstances. What Tinnitus Cure Is Best?